through vivential, meaningful and real projects. 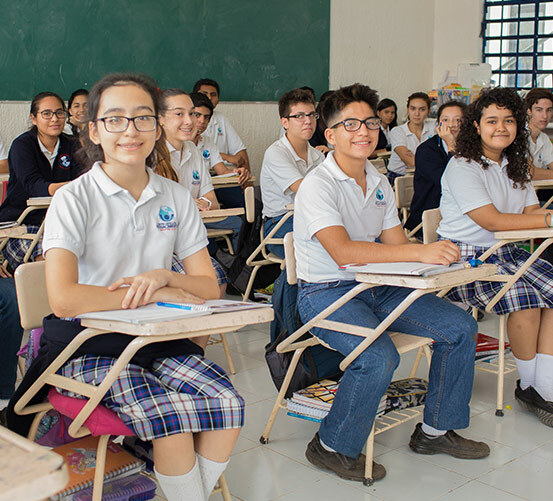 As we know, junior high school is a close stage to our professional life, so, we consider it is very important to give our students a happy and safe environment in order to have the development of the necessary skills and competences to the professional and personal success. Junior High School promotes in our students the correct development of the self-reliance that adolescence as a life stage requires. We encourage responsibility, respect and the right decision making and cooperative work. We include in our academic programs a multicultural vision which gives our students the perception of being “world citizens”, living an education without borders in that way. Each teenager is unique, that’s why we give students a closely and personalized attention through tutoring sessions and qualified professional advisers. Besides, parents can have the possibility to attend to meetings where we can work together to potentialize the correct academic, behavioral, social and emotional development of the students. CER Junior High School gives our students learning tools that go further than the academic content. We promote technological, familiar, group and experimental activities, which allow them to get meaningful and lasted learnings. For CER the family participation in our students’ education is very important, that’s why teachers, parents and students work everyday in the learning conformation. Our human development program wants to get in the student a truly and a real self concept towards to a healthy self stem. CER Junior High School student, acquires and make their abilities stronger through this program which helps them to be part of a social group and also helps them to get the best resources for the correct management of their emotions; they learn to face natural frustration with strength, to look up for solutions to their conflicts with classmates and to develop a cooperative and functional work. Our junior high school has a Psychology section which is in charge of the guiding and caring of emotional, behavior, vocational and social students’ development, working close with the families and external professional needed. Our Junior High School students go to supervised and safe trips where they have the opportunity to practice the acquired knowledge in classrooms. Besides, these trips give students meaningful experiences which make them have lasted learnings. During the scholar year junior high school students make special celebrations of the English culture such as: Thanksgiving Day, Saint Patrick’s Day, Easter, Saint Valentine’s Day, etc. These activities are educative and encourage them the English practice, the cooperative work, the elaboration of projects and the acquisition of cultural knowledges to complement the bilingual education. 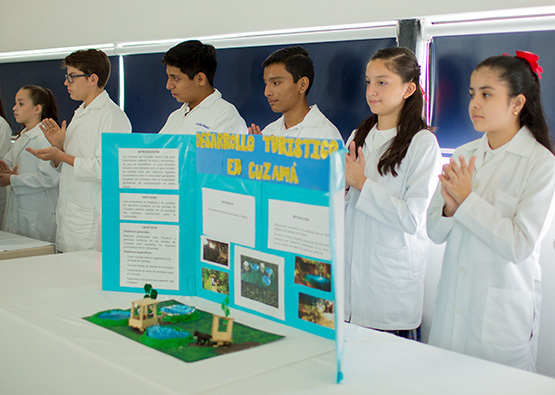 Junior High School students participate in the elaboration and exposition of scientific projects according to the acquired knowledges in their subjects such as Science I, II and III. They prepare projects through weeks and they present them to the principals during the Science and Cultural week, they also participate in workshops and cultural activities to complement the academic experience.